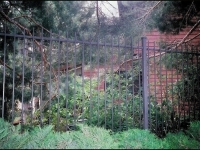 Wrought Iron fence have long been the standard for metal fences. Nowadays, steel has replaced iron as the metal of choice. 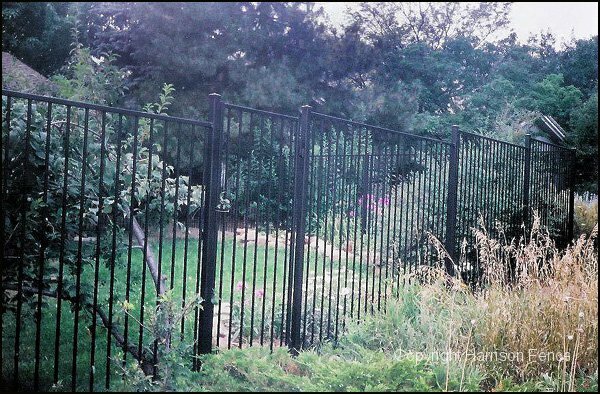 The look and feel of steel fence will exceed your expectations for a wrought iron-style fence. 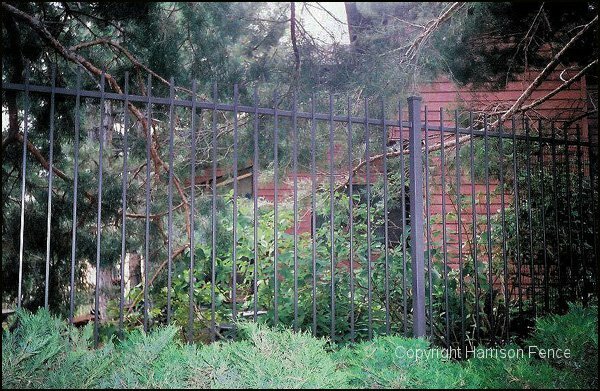 Steel fences can be painted or powder-coated to any color or can remain raw which will eventually rust, or can be protected with a clear coat. 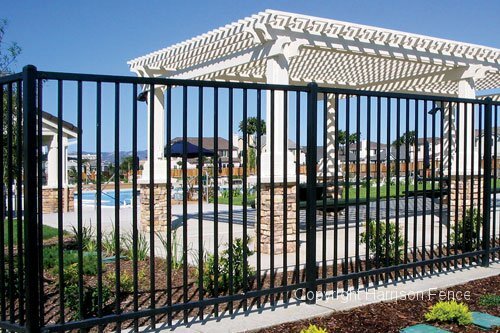 Powder-coating is a process of kiln-firing pigment to the steel for a rust-resistant and fade-resistant finish. 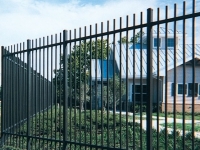 This is an example of a custom-fabricated fence. 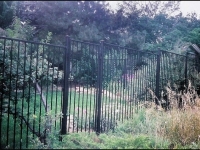 All elements welded on site or at our shop and painted or powder-coated to your color choice. 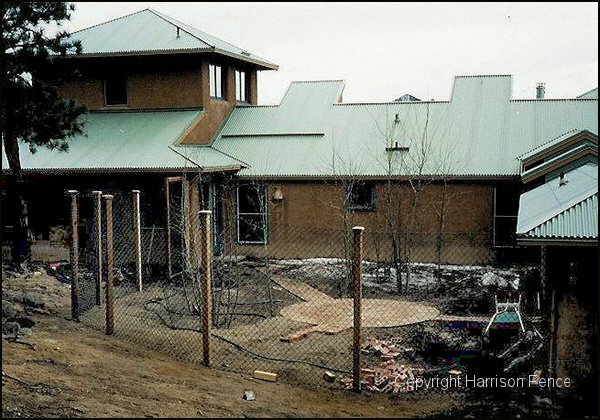 Another example of a custom-fabricated fence with the vertical balusters rising above the top rail. 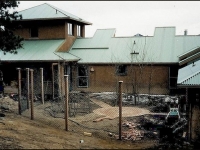 The pickets of Genesis™ fence extend above the top rail. Many custom looks can be created with the addition of decorative finials. 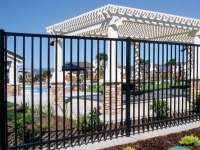 The Majestic™ style pickets are flush to the top rail. 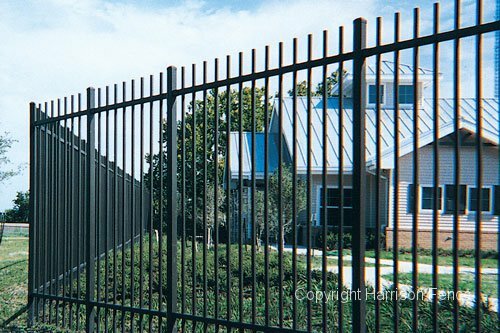 This fence is an excellent application for both residential and commercial uses. Traditional chain link mesh secured with cedar posts and rails. 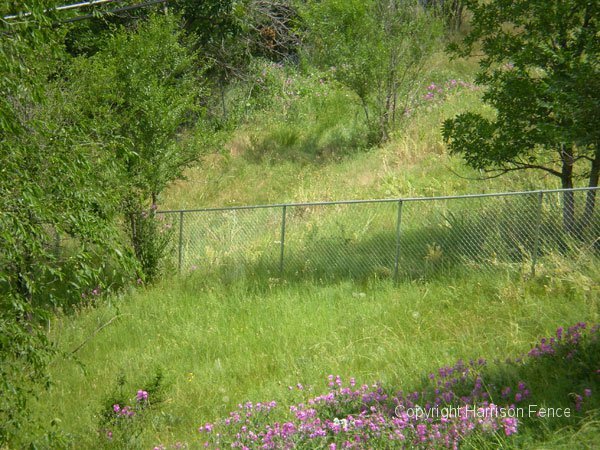 Can also use chain link posts.